Markus Lüpertz has never believed in the purely representational purpose of art, but, in his own words, has always been »searching for the potential picture« and thus doesn’t feel bound by any one style. Precisely for this reason, he has succeeded in freely creating works from a vast fund of artistic and historic-cultural material, devising coded paintings that bear his emphatic signature and which are themselves redolent of a mature and energetic freedom, which is in turn regarded by many a generation of artists as exemplary. In this way, younger artists, such as Peter Doig, Tal R, or Thomas Houseago, have been avid fans for some time now. 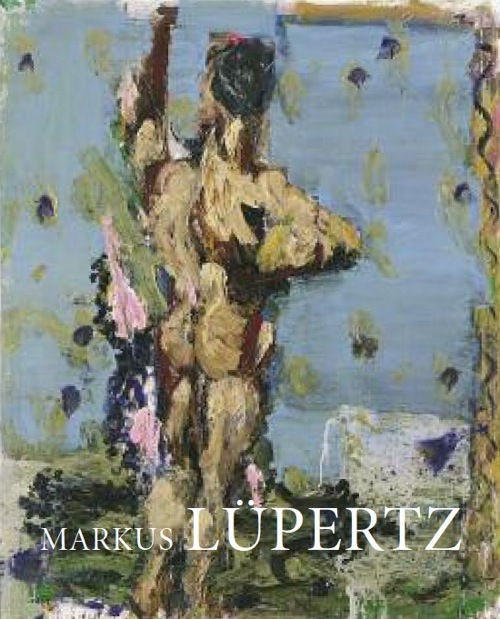 The exhibition and the comprehensive accompanying catalogue set out to investigate the »large gesture«, as well as to explore Lüpertz’s conscious play with the role of the artist, duly presenting his multifaceted oeuvre and his passion and intellectual rigour in a large selection of 150 paintings and sculptures, including a number of early works, which still have the capacity to surprise one today. They range from the early examples of the »dithyrambic«, »anti-abstract« painting from the 1960s with its proximity to pop art, to the intensive engagement with the mythological and classical canon of themes during the past few decades, all of which is impressively accompanied by an extensive section containing photographic documents. The retrospective exhibition held at the Kunst- und Ausstellungshalle der Bundesrepublik Deutschland, Bonn builds on a successful series of exhibitions featuring leading German painters over the past twenty years, placing Lüpertz alongside artists such as Gerhard Richter, Sigmar Polke, and Georg Baselitz.